CES 2017 brought the best technology products and companies to Las Vegas for the last few days. I was fortunate to attend as a Lenovo Insider, getting the inside scoop on their latest tablets, laptops, phones, and other groundbreaking innovations. From smart home technology to augmented reality I had the honor of also meeting and interviewing Lenovo executives, and even parting with some of their staff at night (a must for any Vegas trip!). Below is part 1 of my summary of the CES 2017 highlights starting with their products. The Lenovo ThinkPad X1 Yoga is a 2-in-1 laptop and tablet, with 4 different viewing modes thanks to its unique 360-degree hinge. This makes it the “anywhere” device, perfect for squeezing on a plane, propping it up in the kitchen, viewing in flat mode while in bed or using in standard laptop mode. It’s the world’s only business laptop with an OLED display that pops with color and contrasts. It’s appeals to biz folks as well as artists and students with a built in rechargeable pen for notes and sketches. I wish this was around when I was in school many moons ago! With a Qualcomm® Snapdragon™ X7 LTE-A the X1 Yoga is always connected to the cloud, and the device also has a bold battery life of 16 hours (equally impressive is that it charges up 80% capacity in just an hour). – Rigorously bash tested on 12 military-grade requirements. – X1 Carbon includes Intel® Thunderbolt™ 3—for insane Thunderbolt to USB-C speeds (up to 40 Gbps). – Fingerprint scanner and facial recognition. Showstopper is a term used loosely these days, but I witnessed this product do just that at CES 2017. People stopped dead in their tracks to watch artists draw and paint masterpieces on the Lenovo Yoga Book. It’s a next gen 2-in-1 with 2,048 levels of pressure sensitivity and options to draw on the create pad with the Real pen’s stylus, or switch to ink cartridges and book pad for paper and digitized versions of notes and sketches. The controls are even designed so someone can draw with one hand and select tools with the other. I used to dabble in this space with a Wacom tablet a few years back (and learned that Lenovo partnered with Wacom for some of the technology in the Real pen). That said I had an especially good time using the Yoga Book and listening to artists react to its features. My husband is far from artistic and wants this just for the ability to instantly record his work notes and diagrams. This product destroys everything out there in the same category, although in many ways the Lenovo Yoga Book has defined a new category where it stands all alone. – An on-demand Halo keyboard with haptic feedback, autocorrect and autocomplete. – Choice of Book UI for Android or Windows 10. Lenovo’s Phab 2 Pro is the world’s first smartphone that boasts Tango, which is the (much talked about at CES) Google technology for Augmented Reality (aka AR). I have to admit that I have very little experience with Augmented Reality devices and don’t have much to compare this to. Be that as it may, I didn’t see a more fun product anywhere at CES than the Phab 2 Pro. Objects and info was overlaid onto the real world, like two hilarious looking dancing characters that were suddenly dancing everywhere I pointed my phone. With this one app alone I could have hours of fun with my friends and kids, and my mind went racing when hearing of the other apps. Others include one from Hotwheels and a Crayola Color Blaster. Augmented Reality isn’t just for games, there are home design apps from Lowe’s and Wayfair, and even a Solar Simulator app. The Lenovo product experts shared some of the technology behind the Phab 2 Pro, including its impressive three camera array that makes the AR possible. – The Qualcomm® Snapdragon™ 652 processor (which gives fast, smooth processing and also a long battery life). – Phab 2 Pro’s rear camera consists of a 16 MP RGM camera, depth camera, and fisheye camera for wide panoramic shots. The front 8 MP camera is ideal for selfies. I have two lenovo laptops and I love them. I’ve been wanting a Lenovo ThinkPad and I really think I just need to take the plunge and buy one. They’ve got great products. It looks like a fun time. 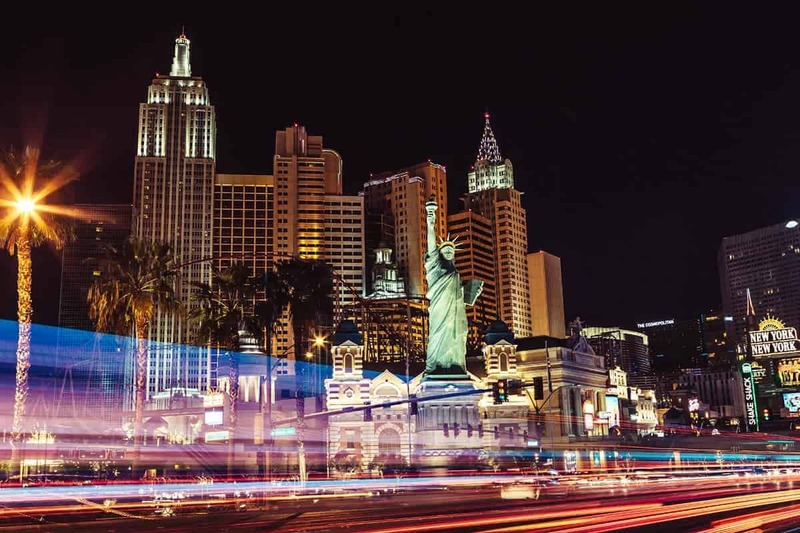 What a great opportunity to visit Las Vegas as a Lenovo insider. My son loves to draw and he would love the Lenovo Yoga Book. Going to have to talk to my son and show this post to him. He is a big techno person, probably because he is a computer engineer. Haven’t see the lenovo laptops or thinkpad. Nice to be on the ground floor of new products. This sounds like it was an amazing event as a Lenovo insider. These are all amazing devices for sure. I love the Lenovo ThinkPad X1 Yoga because it is a laptop as well as a tablet. It is awesome that it can be used in so many different ways and the 16 hour battery life is a big plus. The Fingerprint scanner and facial recognition is awesome too. Thanks for sharing these awesome devices and your great experience. As a work at home mom, having somthing that can go anywhere is super important to me! I love that the Lenovo ThinkPad X1 Yoga is so portable and is a laptop and tablet! This is exactly what I need in my life! I would love to go to CES one day. I love all the new technology. There are so many great products every year. It’s great to get the latest insights on new technology. I could really use the Lenovo ThinkPad X1 Yoga, it’s so versatile! The Lenovo ThinkPad X1 Yoga looks fantastic. I will have to go and check it out in the store. I have been looking for a new computer. These Lenovo products seem fantastic! The x1 Yoga is probably the one that would suit my needs the most. Jealous of you in Las Vegas as an insider! I love reading up on latest technology. Thanks for sharing! Ok, I should have asked for this for Christmas! I am in the need of a new laptop and this seems like an amazing option. How cool to get to see all of this in person! Sounds like you had a blast in Vegas! The Lenovo ThinkPad X1 Yoga looks like it will be perfect for my daughter who is just planning where to go to university next year. Oh that augmented reality phone would go over huge with both my husband and son. They would have probably loved to attend this event. How fun! The Lenovo ThinkPad X1 Yoga looks so great! I love the idea of the pressure sensor and using the pen! What a fun time you must have had! I have heard a lot of good things about this brand. The next time I am in the market for a new tablet, I will have a Lenovo for sure. Wow! Look at all of that awesome tech! Those tablets look incredible!